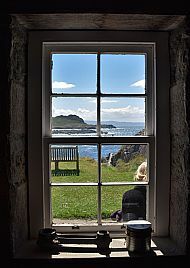 This picture was taken from within the former stable at Ardnamurchan lighthouse, looking south. 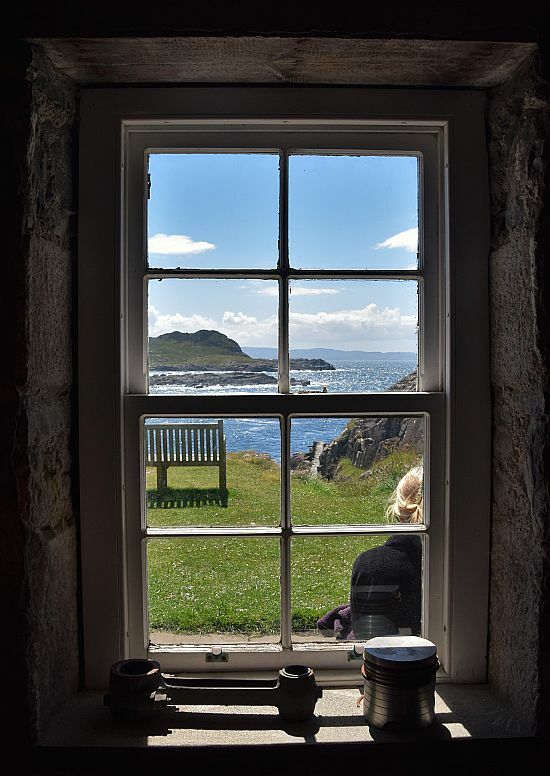 Today the stable building is a coffee shop associated with the lighthouse’s visitor centre and tower tours. This photograph shows the building 7 months after construction work on the site began. 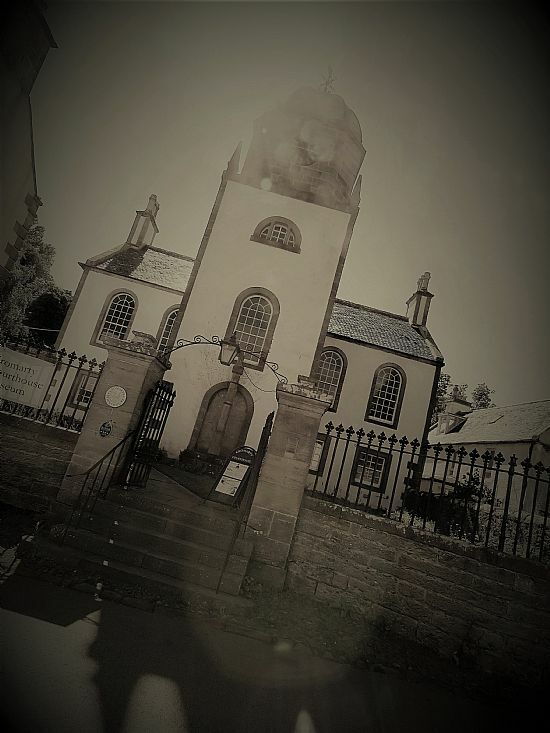 The new Gairloch Museum will be opening in Spring 2019. It shows the old kirk at Portmahomack, which is today the Tarbat Discovery Centre – a museum which explores the site’s rich history as a key centre of worship in centuries long past. 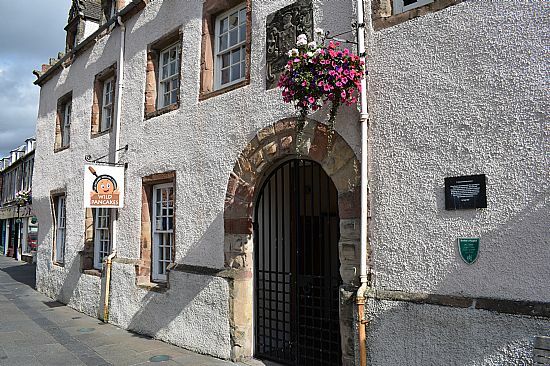 Originally built during the 18th Century as a Sheriff Court & other official purposes. A high perimeter wall & cell block was added in 1847. 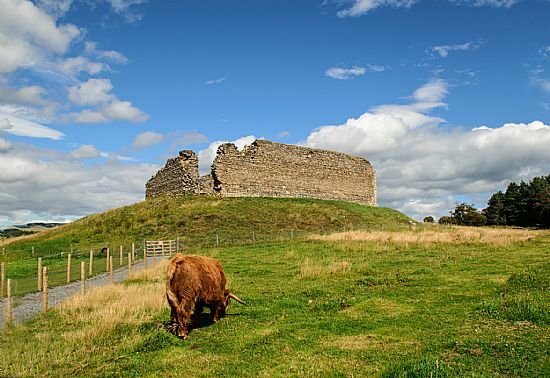 Today it is run as a museum and visitor centre. 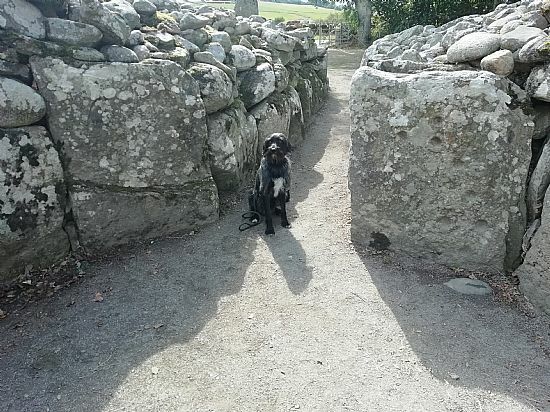 A Neolithic cup and ring marked stone was reused by Bronze Age peoples when constructing their burial monuments, now known as the Clava Cairns- see to the right of Fergus the dog! 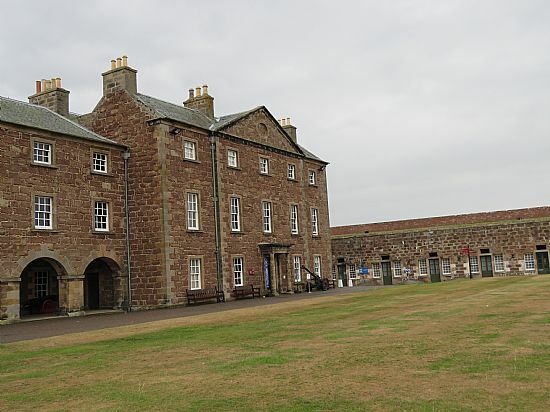 Originally a military base, but has due use today as home of the Highlanders, and museum. Hosting enactments and military events. 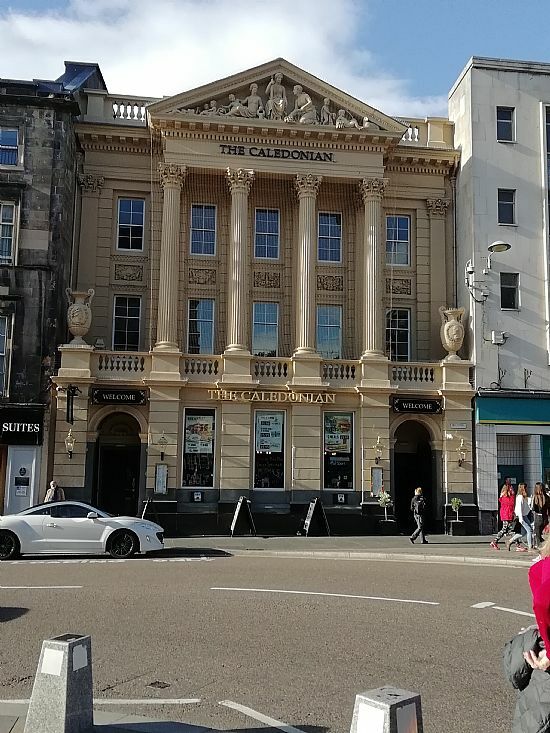 Formerly built in 1848 as the Caledonian Bank, this beautiful Classical style building, which I pass every day on my walk to work in Inverness, is now a bar and restaurant, retaining its name as ‘The Caledonian’. 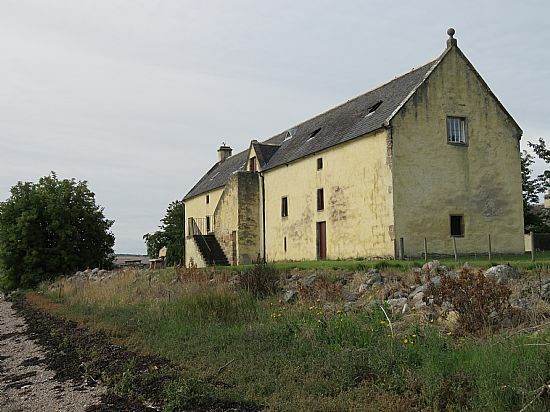 This was one of group of sites in Caithness used in WWII by the armed services and Foreign Office (Bletchley Park) for wireless interception and direction finding. 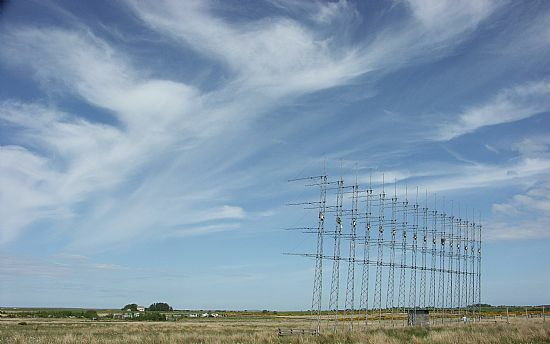 After WWII it continued being used by CSO (on behalf of GCHQ) then when closed part of the site was used by a group of British and foreign universities for auroral research. The main building is now a private residence. 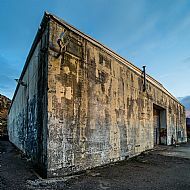 A gun battery was built at Corran in WWI to protect the ships taking mines into Corpach. 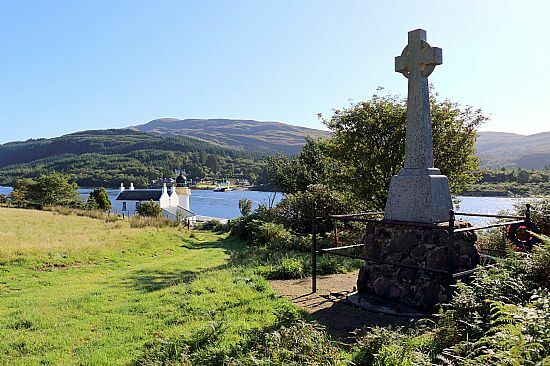 The Ardgour War Memorial is built on the gun mounting – steel ring with threaded studs can be seen at the bottom. Farraline Park, an impressive Grecian style building, was built 1841 as a school (also known as Bell’s institution). 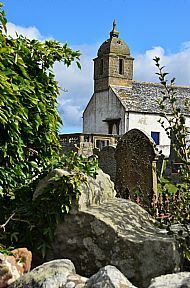 During building work for this in 1840, nine complete, irregularly laid out skeletons were uncovered. The dates for these skeletons are uncertain, but the site of the building was clearly reusing an unknown grave site prior to being a school. Imagine the scary stories the children probably told each other about the school being haunted! 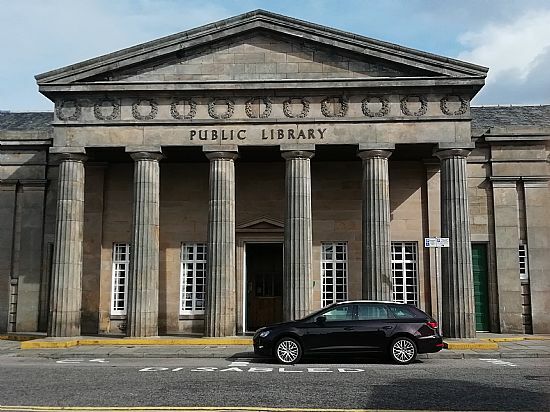 The school was closed in 1937 but eventually reopened as the public library in 1980. From grave site to school to library! The building depicted in the photograph was known as an Anti-Aircraft Operations Room (AAOR). This was part of the UK’s defence system against the anticipation of nuclear attack from Russia. 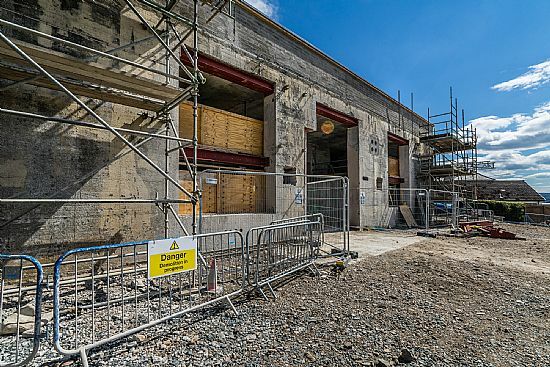 It is now undergoing construction work to be transformed into the new Gairloch Museum. 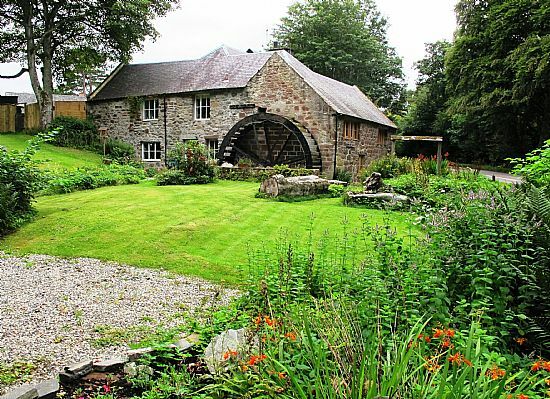 Milnain Water Mill is now converted into a House. The nausts appear on the second edition of the Ordnance Survey map and probably date back to the end of the 19th century but they may be older. 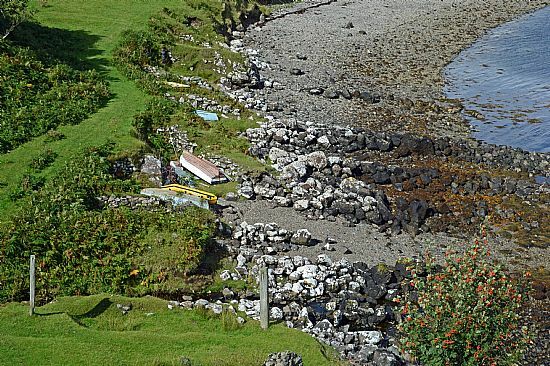 Used for protecting boats during storms and the winter months these safe havens are constructed with stone walls and facings on the foreshore and cleared channels leading to the water. 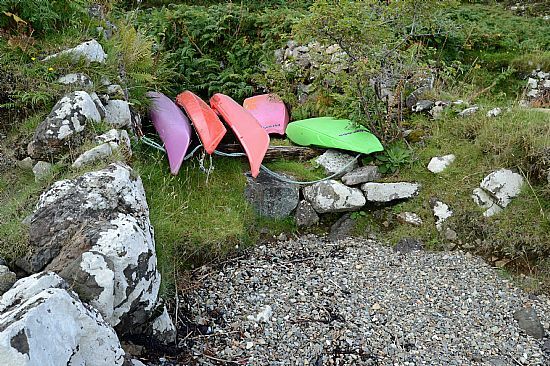 Today they are still used, mainly for recreation including small fishing boats and paddle craft. 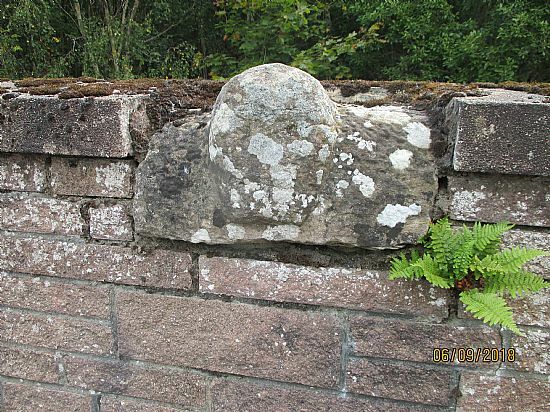 This carving of ‘The Devil’s Head’ was originally placed into the old stone bridge over the railway at Riverford when someone committed suicide by jumping off in front of a train. When the new bridge was constructed and realigned in the 50’s by R.J.Macleod, it was felt that the carving should be reinstalled into the new bridge. 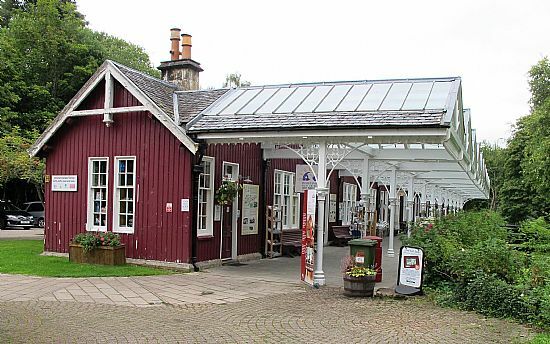 My house is built over what used to be the goods platform of Conon Bridge railway station. 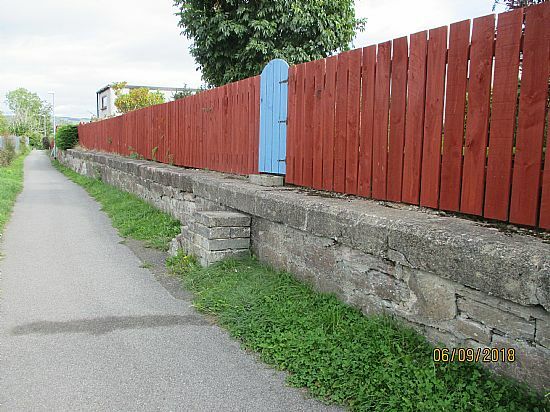 It has been reused as the retaining wall for the gardens next to the lane leading from the current station into the village. 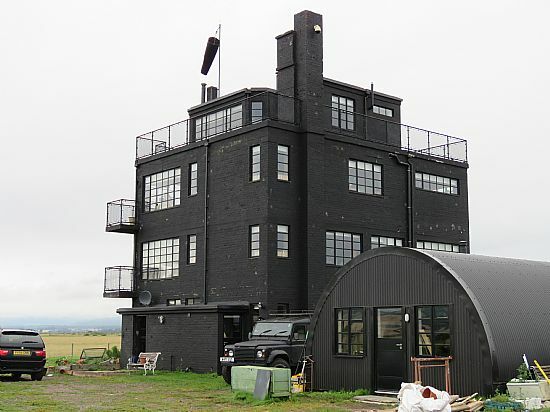 1942 – This building was a Control Tower at the Royal Naval Air Station and over the years had become a derelict building. 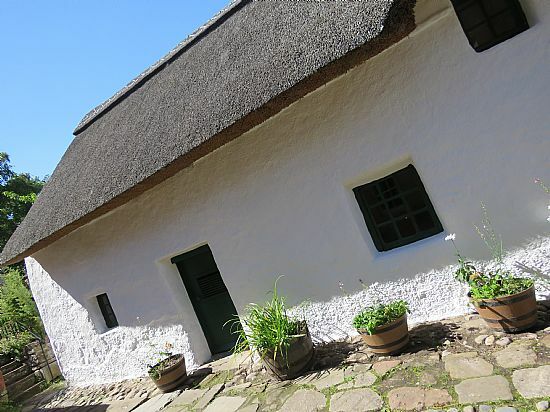 It was privately purchased and over the last five years has been transformed into a family home & holiday accommodation. The new owners have maintain the outside design & features to replicate what it would have looked like in the 1940’s. 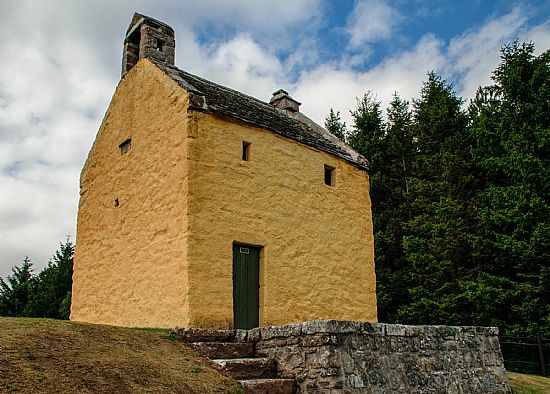 The Renthouse was built circa 1740 for Munros of Foulis and continued to be used as a storehouse for bulky goods well into the 20th Century, today it is a museum & restaurant.